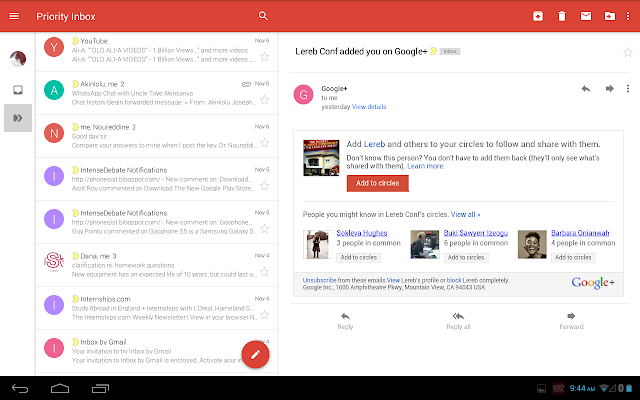 Google have released a new Gmail app that look almost like the new Inbox app that was released a while ago for iOS. The new app has the same look and feel like the new Inbox app that was released for iOS. The new Gmail app is very intuitive and helps in categorizing mails and making it easy to see mails that are important and the ones that qualify as spam. 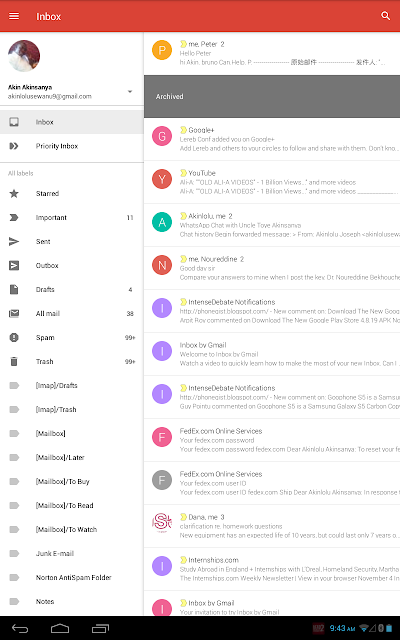 The new mail changes the color from the usual Red to Blue now so everything loos less loud. You can download the new Gmail app from the link below in case you can't find it from your Play Store. Like or Facebook page and follow us on Twitter for more news. You have finished reading Download The All New Sleek Gmail App For Android and many articles about Tech Gallery in our blog this, please read it. and url link of this article is https://littlebitjohnny.blogspot.com/2014/11/download-all-new-sleek-gmail-app-for.html Hopefully discussion articles on provide more knowledge about the world of new tech gadgets.